Gatwick Express is a rail passenger express that travels between London Victoria, Brighton in South East England and Gatwick Airport. The service began way back in 1984 and was initially operated by British Rail. After privatization in 1996, National Express bought the franchise. In 2008, however, the Gatwick Express merged into the Southern train operating company, and as a result, it ceased to exist as an independent franchise. Recently, in July of 2015, Gatwick Express along with Southern merged into a single entity called Govia Thameslink Railway. The Gatwick Airport is the second busiest in Britains, and can easily be reached from the city center of London by train. 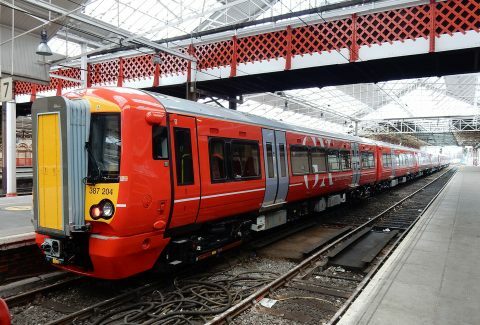 A non-stop train plying between Victoria Station in London and Gatwick Airport, the Gatwick Express is the fastest mode of transport between the two locations. The entire journey covers a distance of about 40 kilometers. By car, it would take about an hour and a half. By train, you can travel between the two spots in 31 minutes on average. When you get off at Gatwick Airport, you will be at its center, in the South Terminal. Victoria Station is easily accessible from all parts of London. By train, you can bypass all the London traffic and reach Gatwick Airport before you know it. If you have just got off from a plane at Gatwick Airport, go to the train station at the South Terminal, and you can reach the heart of London in no time. You will receive an email confirmation with your London Gatwick Express: Superfast Train to/from Central London ticket voucher shortly. Please take a printout. Show the printout with a valid photo ID at the meeting point. The ticket is valid for a period of 30 days of the outbound travel date.